A deck with the hypnotic beauty of a snake by ShapeShifters Playing Cards, printed by the USPCC and distributed by Gambler's Warehouse. Enigmatic, dangerous, elusive... its curves awaken a mixture of fear and curiosity provoking a hypnotic attraction. Since the devil himself used its form to tempt the first woman in paradise, the serpent has always been a recurring element of allegorical expression in any artistic manifestation. 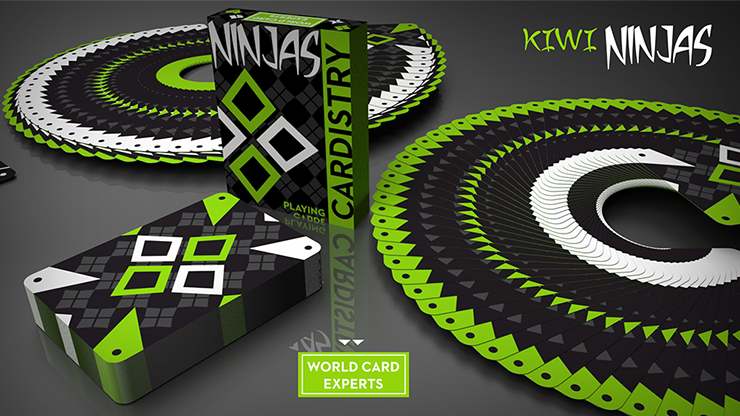 At Gambler's Warehouse, we produce quality playing cards with original and elegant designs. Bicycle Ophidian is the result of the challenging design work by the artists at ShapeShifters. 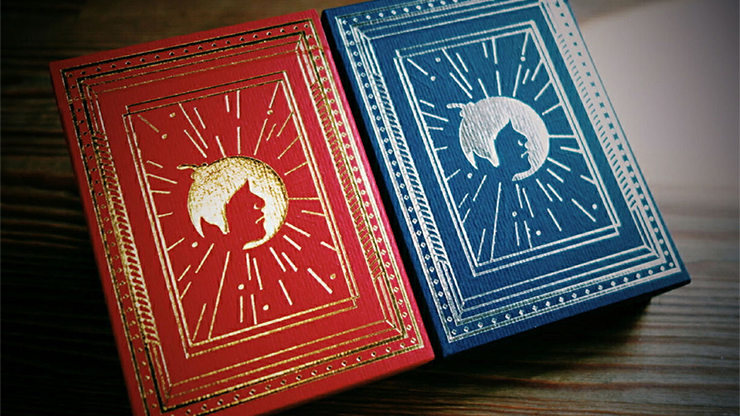 Bicycle Ophidian keeps the structure and essence of traditional playing cards and, at the same time, each and every one of the elements in the design is original. 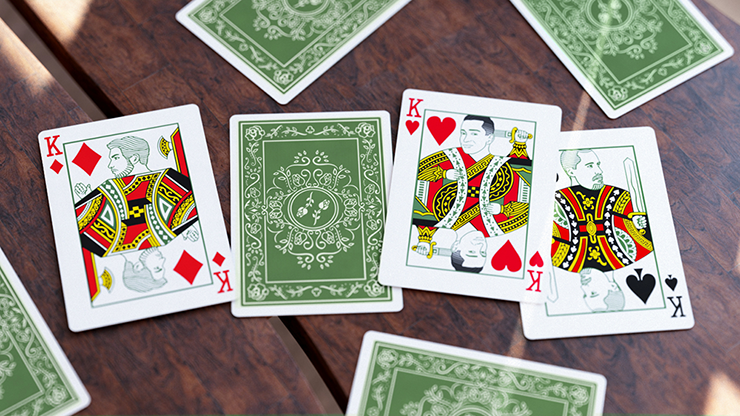 56 striking playing cards manufactured on quality Bicycle stock paper using the same processes as the world's leading playing card. 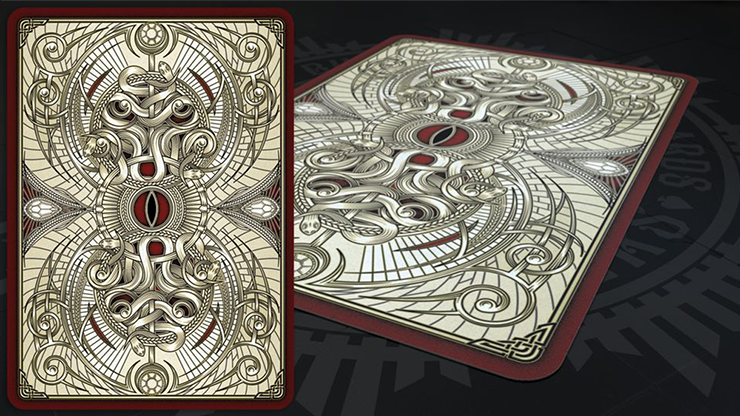 The card back is the best example of the intricate work in this deck. Subtle forms are intertwined in complex and highly detailed designs. The illustrations of large Aces mix organic and natural elements with coiled snakes. The court cards are blatantly displayed and reach out to tell their own story. 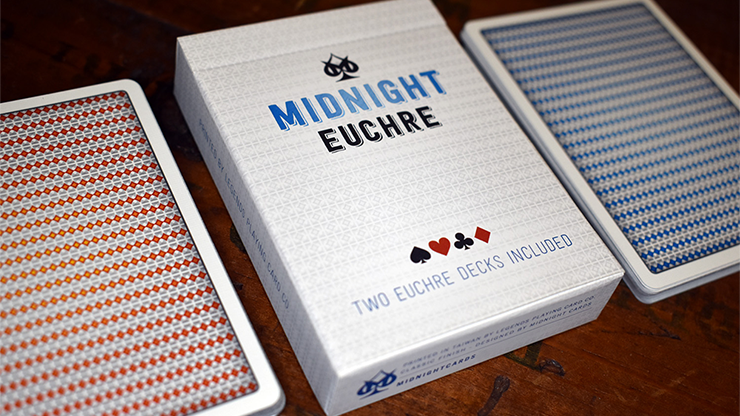 The original indexes in the four corners improve the player's experience and create an interesting aesthetic balance. The Jokers are simply amazing, with the serpent wrapped around the design.